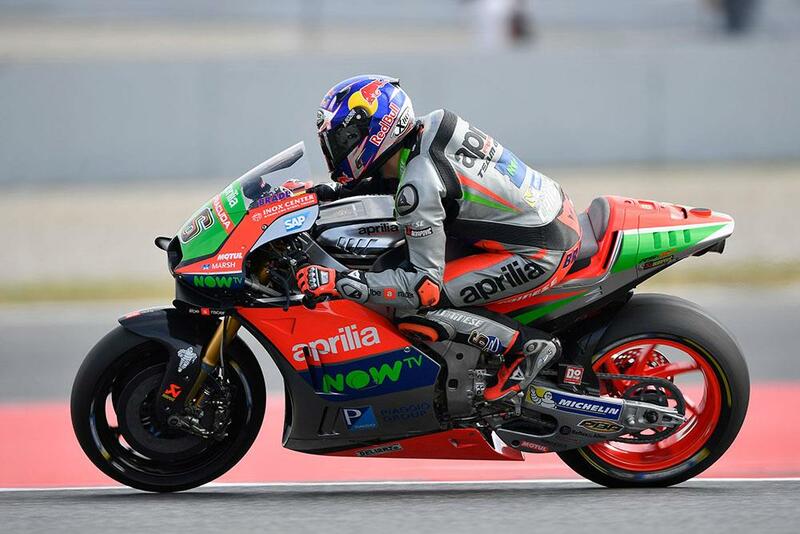 Aprilia MotoGP boss Romano Albesiano says that the team are going into this weekend’s Dutch TT at Assen with a clear goal – to start where they left off not only at the last round of this year’s series at Barcelona but also with where they left off last year at Assen. Running a completely new Grand Prix spec machine this year rather than last year’s superbike-derived machine, the Italian nonetheless says that there’s loads of potential they can take from last year’s pace. “We had a good feeling on the track at Assen already last year and now we are arriving with a completely new bike that will be on this track for the first time, but we intend to resume with that feeling to build another good weekend. However, despite the bosses’ confidence, rider Alvaro Bautista admits that it won’t all be plain sailing in the Netherlands for the squad. “Assen is a very particular track where the first, slow part alternates with a second, fast part and a lot of direction changes. It is always hard to find a setting that lets you go fast in both situations.